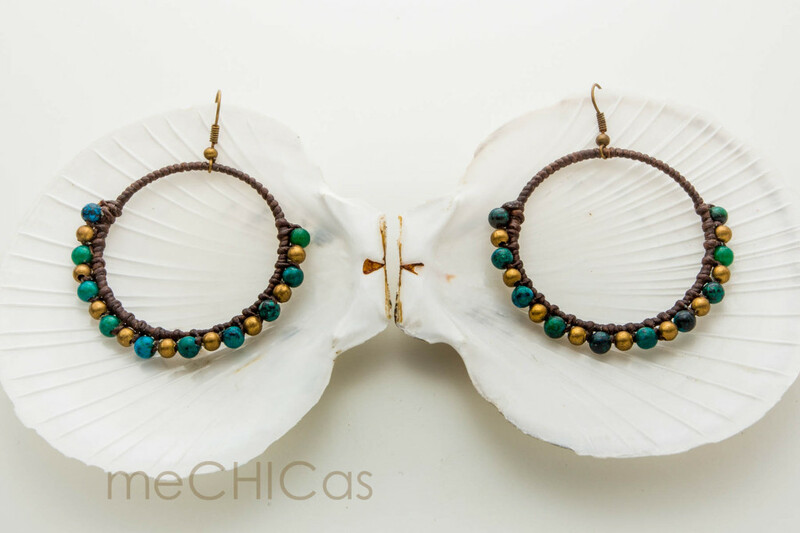 Earrings made of waxed string, brass beads and chrysocolla. 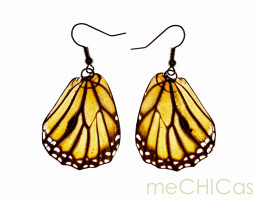 Handmade acrylic MONARCA – butterfly earrings . 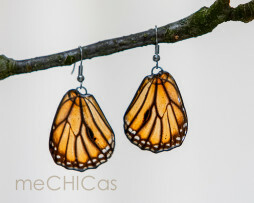 The hooks are silvered and nickel free. 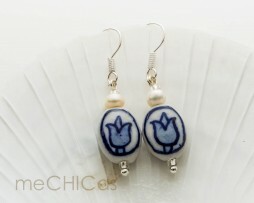 Sweet Delft-blue earrings with freshwater pearl at the top. 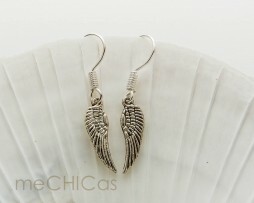 The earring hooks are silver plated and nickel free. Because the Delft blue beads are hand-painted and the pearls are a natural product, the product may vary slightly from the picture. 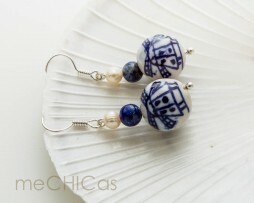 Sweet Delft-blue earrings with lapis lazuli stone and freshwater pearl at the top. 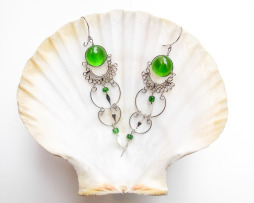 The earring hooks are silver plated and nickel free. 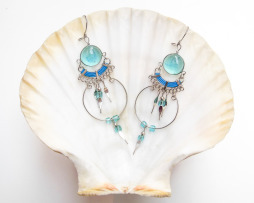 Because the Delft blue beads are hand-painted and the gems and pearls are natural products, the earrings may be slightly different from the picture.